Who makes an affordable set-neck guitar? Discussion in 'The Small Company Luthiers' started by BigSB, Apr 18, 2016. I almost always buy used unless a guitar is US-made, ESPECIALLY if it's a small business. I'm in no position to buy high-end guitars, and have almost never been, but I'd love to find a builder who could do a set-neck "ham-and-egger" solidbody, either singlecut or SG-inspired. Not interested in a clone of anything; I'd like it to have a personality all its own. Can anyone recommend a builder who's willing/able to make a bare-bones, no-frills, blue-collar, hyphenated-adjective guitar for $500 or less? I know it's a long shot and I have no idea if I could even get up the scratch any time soon; I'd just love to know if there's an alternative to the Asian mass-market guitars being built one at a time by an independent luthier somewhere. you could look into making one from a kit, but they are all Gibson inspired, which you stated was not your preference. I'm not totally opposed to Gibson-style as long as the final look has some kind of aesthetic that makes it clearly NOT a Gibson stock model. Problem is, kits are usually sourced from foreign-made parts. I looked at the link you provided and they don't say where their bodies/hardware, etc come from. Some great prices there, though. Definitely worth keeping in mind. Thanks! your price range is too low for something really decent US made. It just is. cutaway, satisphied, Kinghat Guitars and 2 others like this. cutaway and cmatthes like this. King Bee Guitars (yeah, yeah) had a budget Tele for $999 that's a bolt on and people thought those were a steal. Asking for a $500 set neck is a bit much. precision Kits are Made in Canada. For 500 dollars you would be paying a small builder 10 bucks an hour! whats wrong with an import? you are typing on an import. whats wrong with an import? you are typing on an import. Spam budget, Filet Mignon taste? Sorry bud. Save your money! cosmic_ape, aeiou (why? ), FuManchu and 2 others like this. Not gonna happen. Save up some more and buy a used Hamer. guitarnut_1 and cmatthes like this. Thanks for sharing. I like Weir's Etsy page - he's using some cool and innovative techniques and has some feednack and reviews. You're definitely asking on the wrong section of the forum for budget. This is where the most expensive of expensive stuff typically hangs out. Not even, it would barely cover wood and parts. In some cases it wouldn't even cover that. cmatthes, MartinPiana and cugel like this. Not to be nit picky but... I disagree with you that this section of the forum is only for the most expensive stuff. 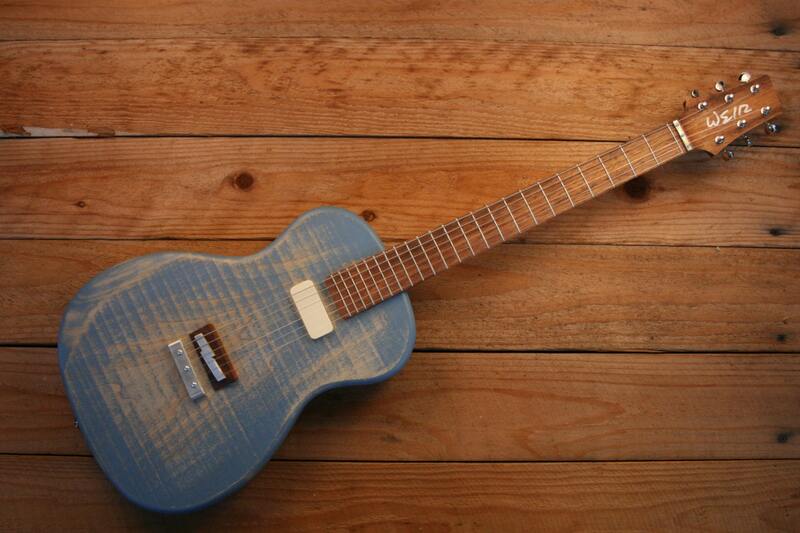 Yes very expensive guitars are discussed here, but there are also handmade guitars discussed here that are sub $3k. I'm not saying that's cheap, but it's not expensive compared to all the Gibson R8's and R9's that folks own and discuss over in the General Guitar section. Having said that, I very much agree with you that this is the section to try and find budget guitars. The fact that @paperair actually did have a recommendation in his price range completely surprises me, but it's very cool he knew about Weir Guitars. Looking at his moniker bare bones tone", this might be exactly what SB is looking for. I build as a hobby, and can tell you, parts are higher than that, even with a company discount.